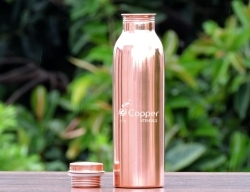 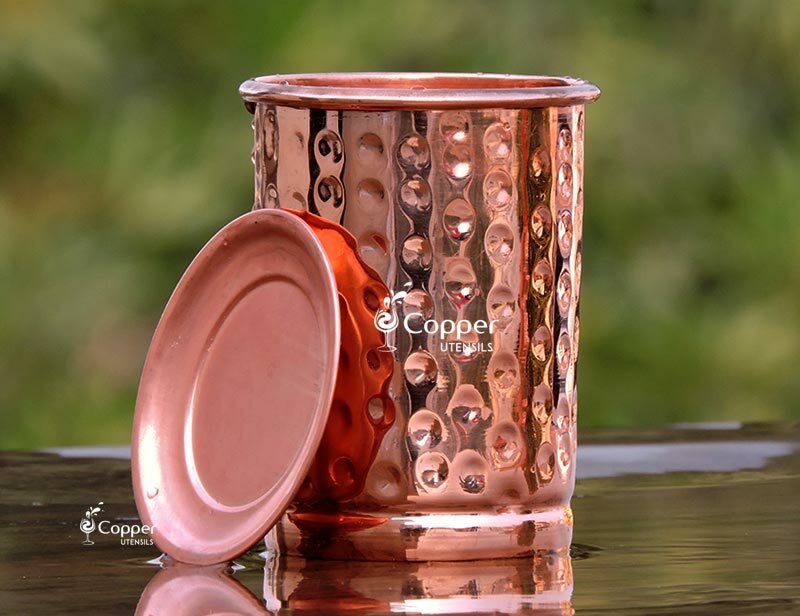 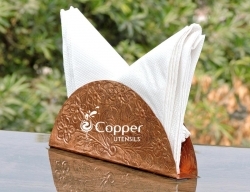 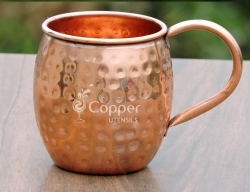 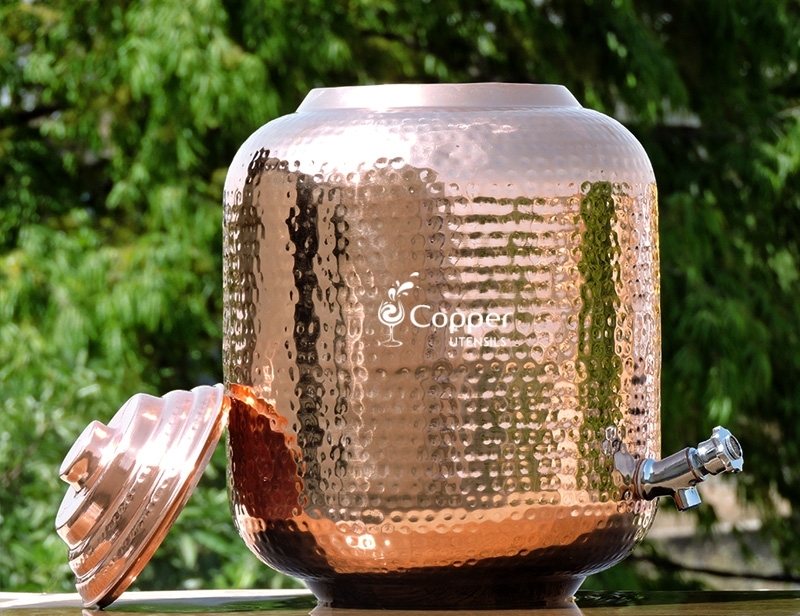 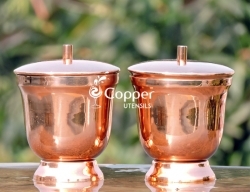 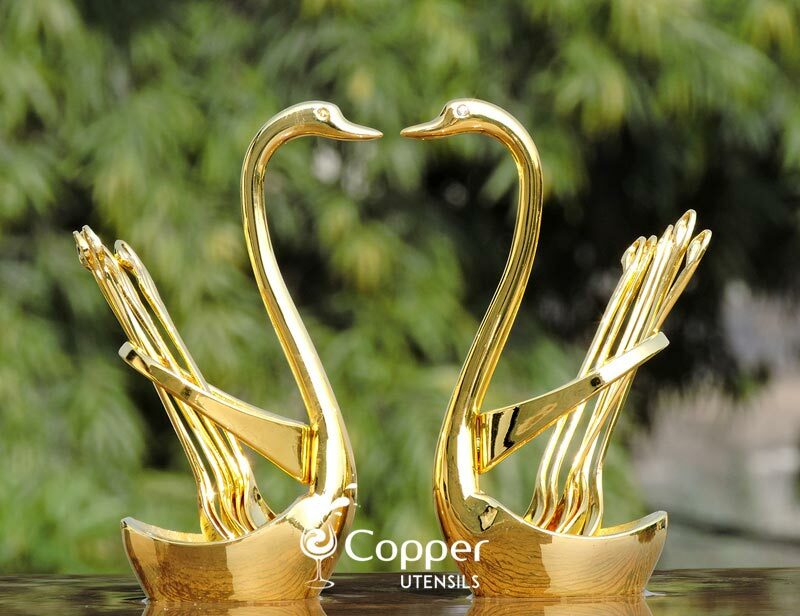 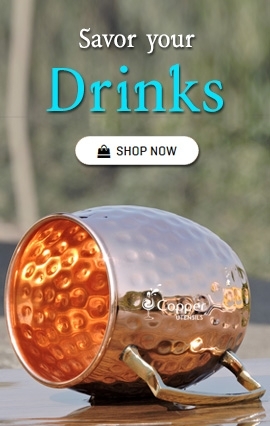 Made from pure copper and brass. 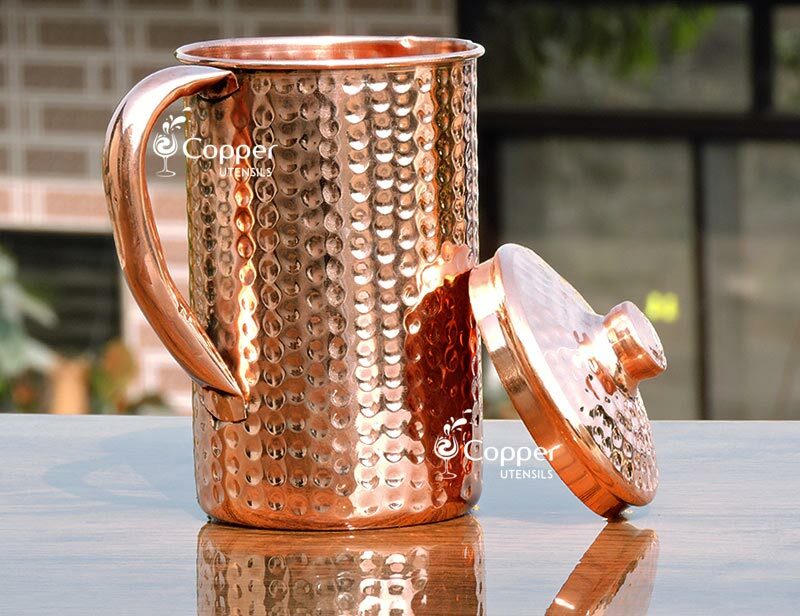 Handcrafted by skilled artisans to give a vintage feel and look. 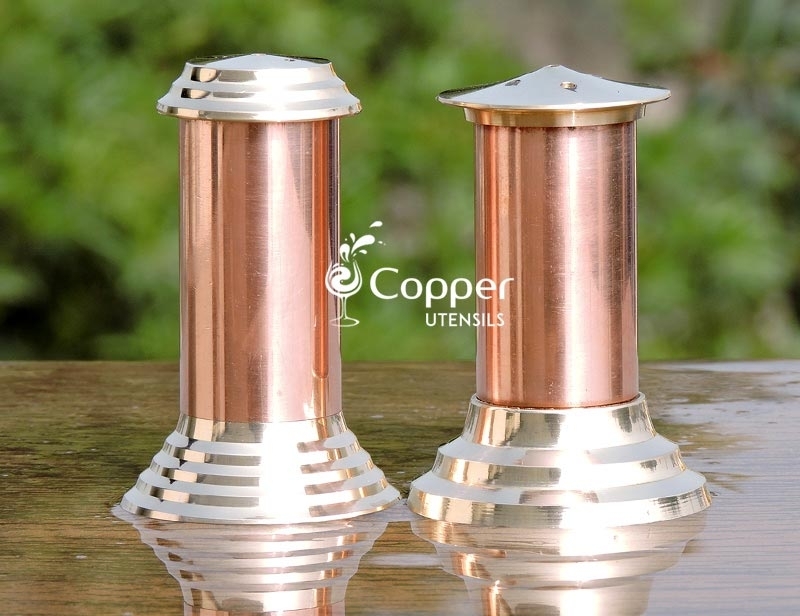 This set comprises of two of our most popular salt dispenser/sprinklers. 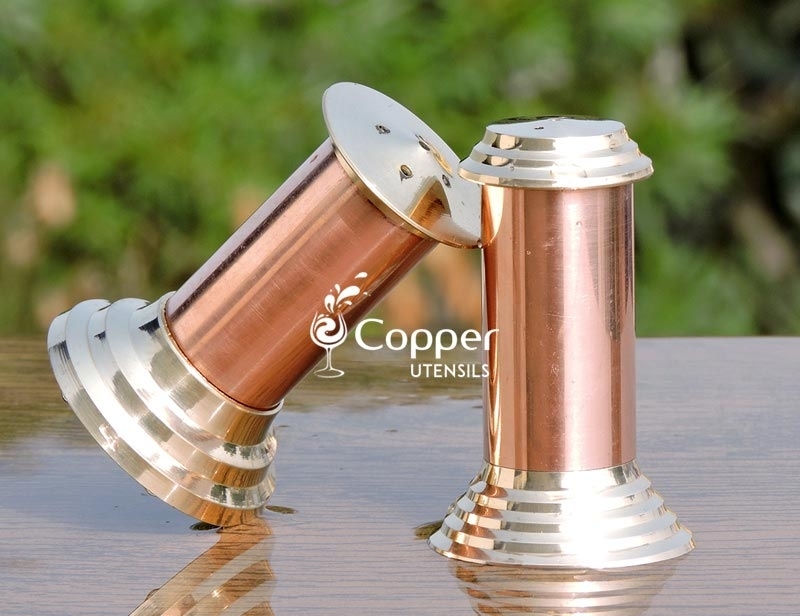 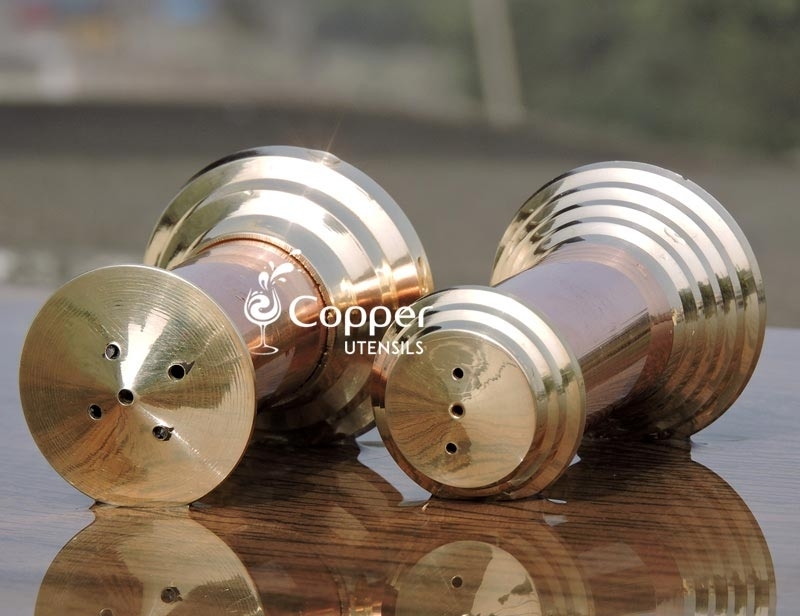 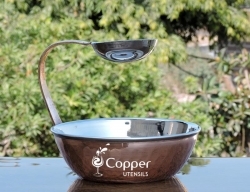 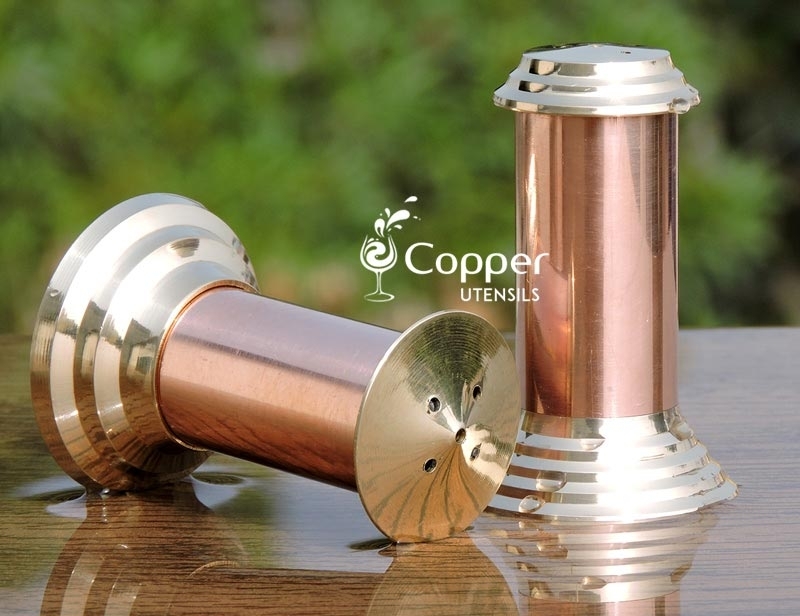 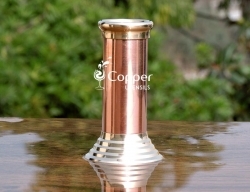 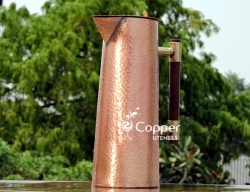 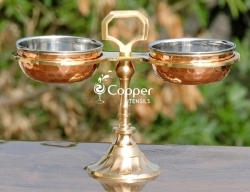 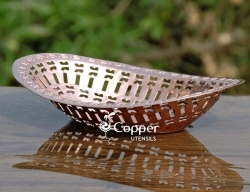 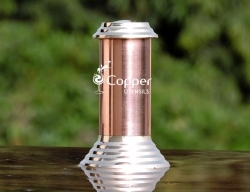 The sprinklers are hand crafted from pure copper and brass giving a traditional feel to it. 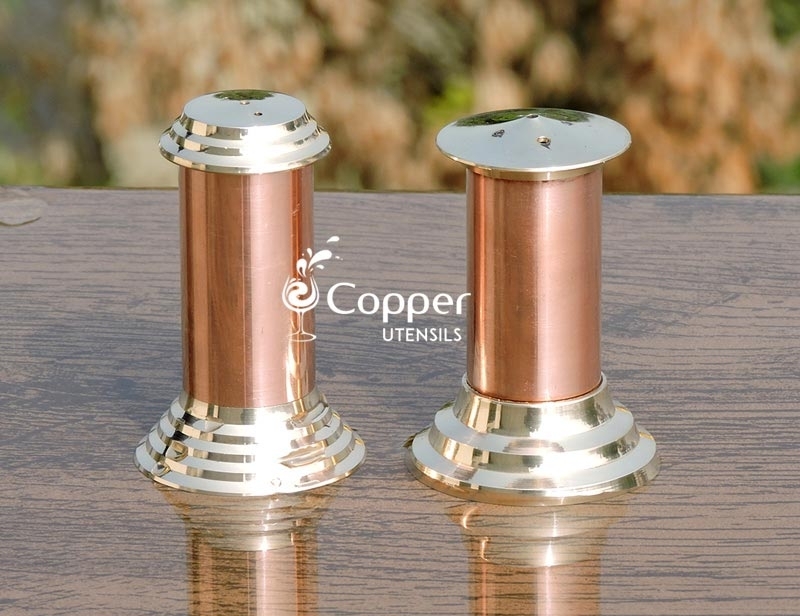 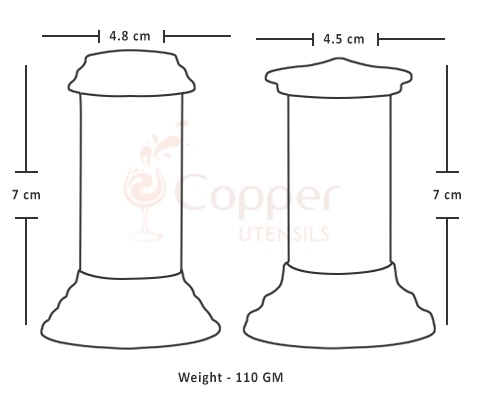 Along with being a utility tool these salt and pepper dispensers are a great way to add a royal look to your dining table and makes for an attractive centerpiece. 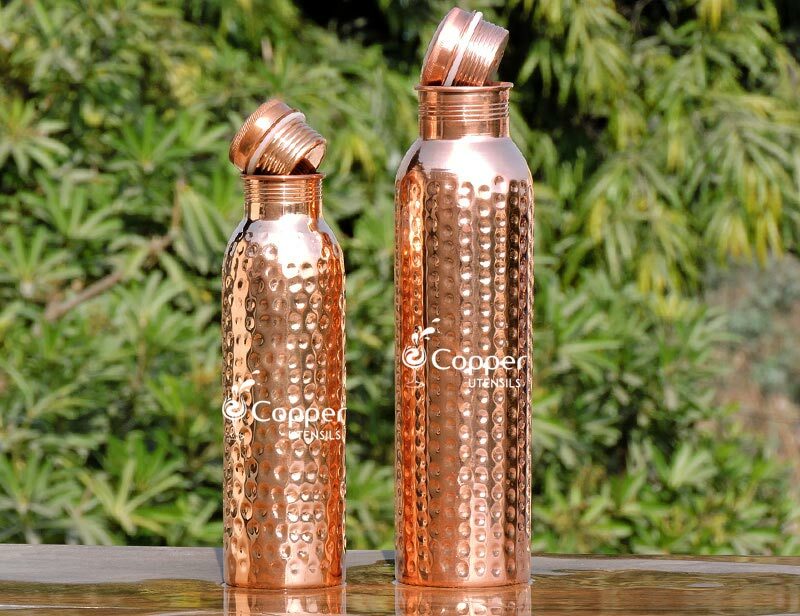 Get these today to get a sack full of compliments for your amazing choice.